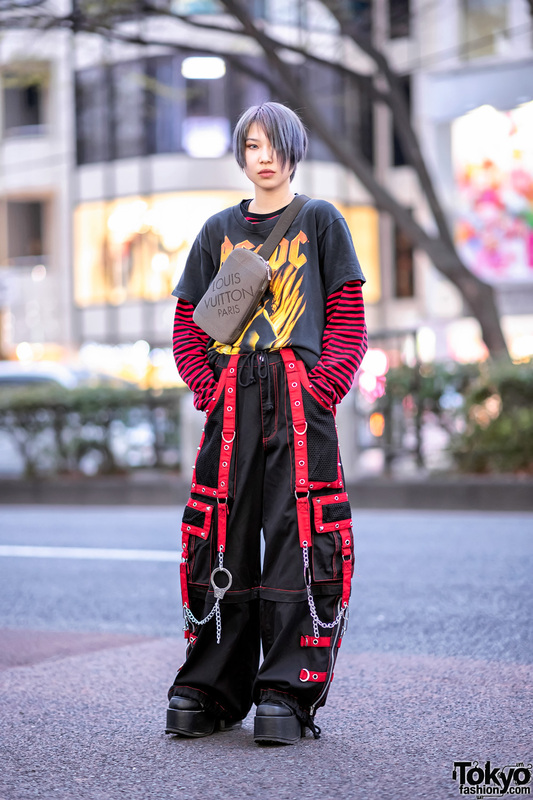 We ran into 20-year-old Souu, a model who made quite an impression in Harajuku with her monochrome street style. She stepped out in a long black dress from Toga, which featured three-quarter sleeves and a ribbon tie closure. 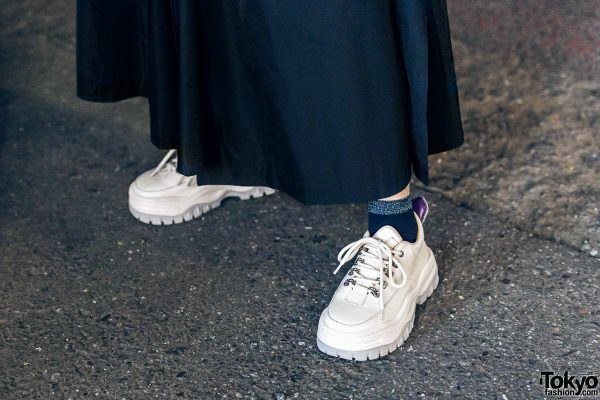 Souu wore them with black socks and white lace-up sneakers. 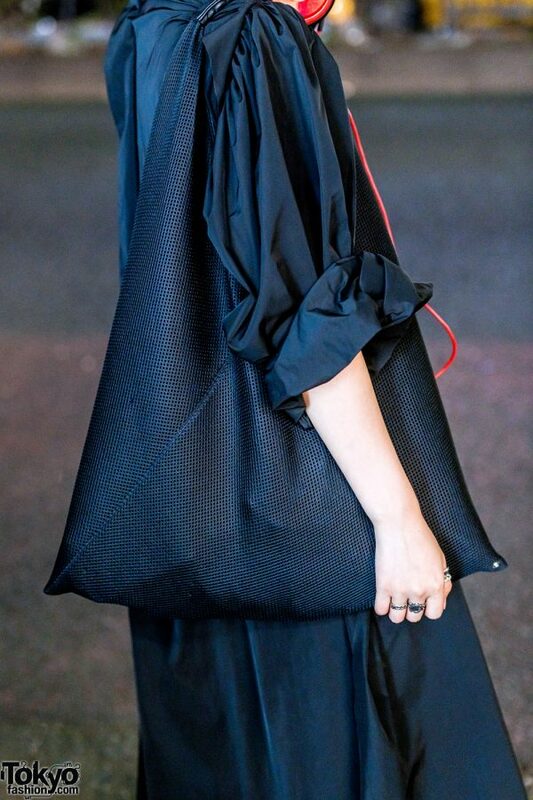 Strapped on one shoulder is a black tote bag from MM6 Maison Margiela. 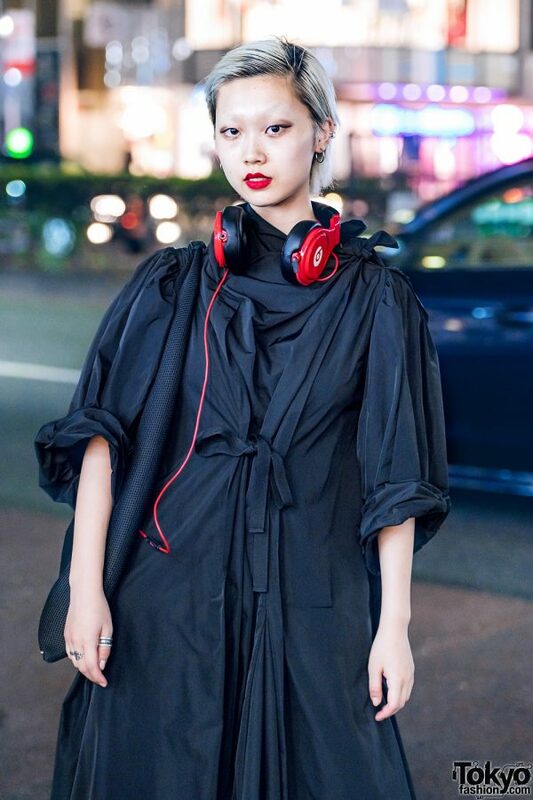 She finished off her look with cropped hair, multiple ear piercings, red headphones, bright red lips, and chunky silver rings. For more on Souu, follow her on Instagram and keep up with her social media updates.